Over 5,000 beads in stock and No. 1 for findings! The Swarovski Elements pendants are cut glass crystals faceted and polished to the highest quality. Our selection of crystal AB pendants come in a range of colours, styles and sizes. These Swarovski shaped pendants have the "Aurora Borealis" coating, known as crystal AB which gives a rainbow-like effect. Get busy with some of our latest FREE bead projects. "The service I have always received from PJBeads is excellent – you are the icing on the cake!" PJ Beads Ltd is the leading online supplier of jewellery-making products and components. 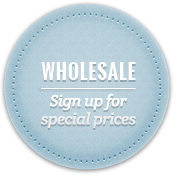 We source from suppliers across the world to offer our retail and wholesale customers the latest products at the best possible prices. © 2013 Beads.co.uk. All Rights Reserved.